If you use repeating Jobs, creating a template can save your time. 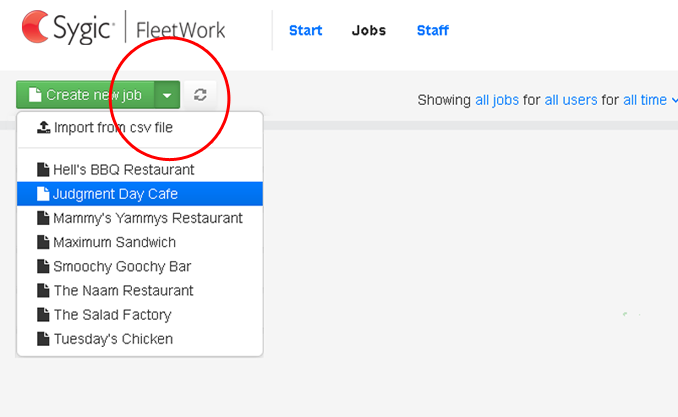 You can save any Job as template and you can create a new job from it with single click. All information filled in fields will be saved and reloaded after you open a template. If there is a job, which repeates a lot, you can create a template out of it. Open the job and clear all the data which changes within the particular jobs. Keep only generic data, which will be the same for all the jobs of this type. To save a template, click an arrow next to a Create job or Save job button and click Save as job template. 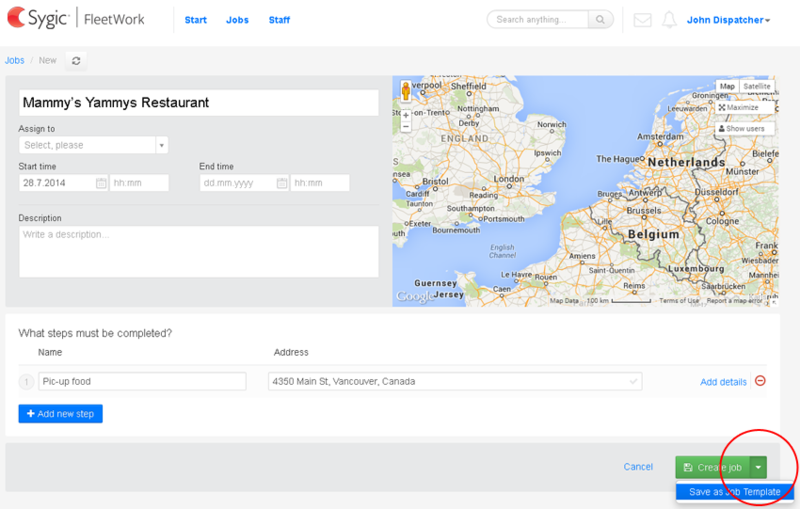 When the template is loaded, you can edit any fields and dispatch it right away. To delete a template open it and click Delete job template link in the right upper corner.